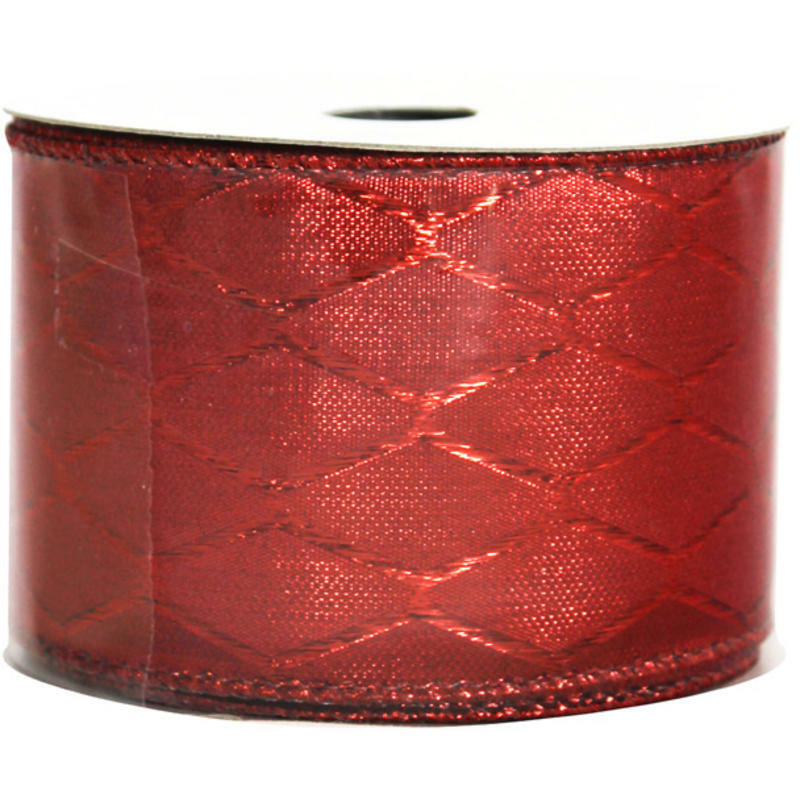 Make the holidays easy on yourself this year with this Red Metallic Jaquard Ribbon in a 9-metre roll. 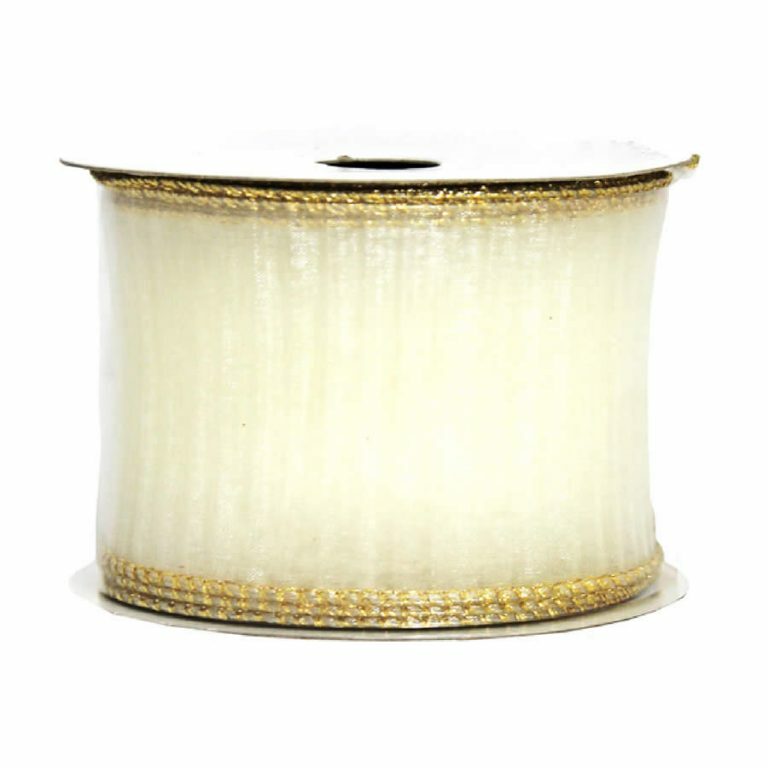 Each spool of ribbon is 7cm in width and is the perfect size to create festive bows, beautiful trims, and full accents that are even prettier than those that you buy in a retail store. 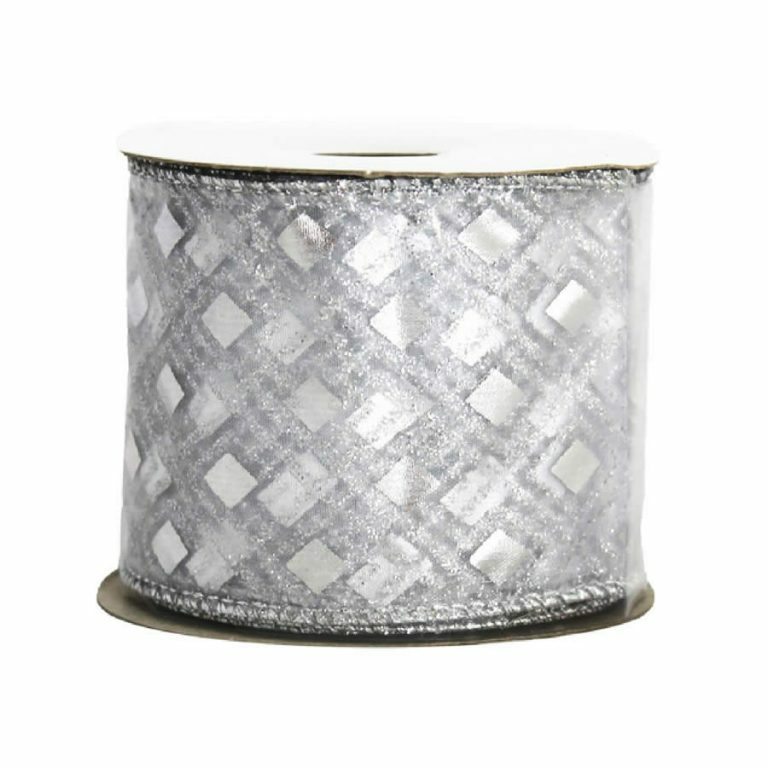 The delicate argyle pattern is further enhanced by the weaving or sparkling red threads that run through the facade of this gorgeous ribbon. There is a lovely red braid that trims the sides of each length, and that discreetly covers up the fact that there is a wire edge inside the trim. This wire edge makes it possible to craft the most lush, full bows and trims, without the worry that they will sag or come undone afterward. 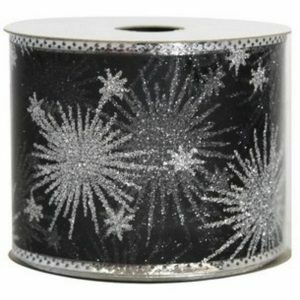 This further allows you to reuse your trims year after year, making this a very cost-efficient approach to holiday decor!